It is the end of an era for Harry Potter fans. 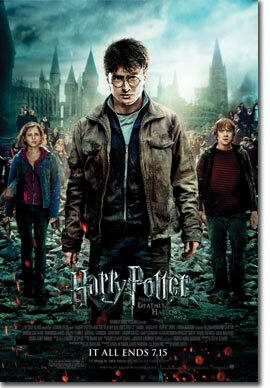 The final installment, Harry Potter and the Deathly Hallows, Part 2, is set for release at midnight July 15 in theaters across the country. But lucky fans (and their spouses) stationed at Naval Base San Diego have the chance to see an early screening of the movie July 9 , and one Navy wife is so excited she thinks it’s the best “perk” of being married to a SWO. “The Navy base showing a sneak peek of Harry Potter is a better perk than free checked bags at the airport,” Colleen McAdams said. The sneek peak is free and seating is first come, first serve. McAdams, like any Harry Potter fan, said she will be sure to arrive early. We got there this morning at 10am and there were already around 70 people in line.